Adaptive companies stand the greatest chance for success. IBM compiled a comprehensive report, The Enterprise of the Future, which describes traits that the leading companies across all industries will share. Key industries—including utilities—also were evaluated individually to see how these traits might emerge as industries reshape and evolve in the face of customer demands, environmental pressures, global integration, workforce changes, and other challenges. Prices between $50 and $80 a ton will trigger major market responses. Whether in the form of a carbon tax or cap-and-trade regime, climate-change policy is coming and will have a profound effect on electric suppliers and consumers. EPRI studied the effects of high carbon dioxide prices on nine diverse Western generation companies and provides insight into the expected major market responses. 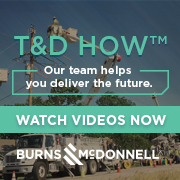 T&D investments prioritize reliability and load growth. A massive T&D system build-out is starting, but more needs to be done. Executives from Northeast Utilities, Pepco Holdings and ITC Holdings discuss improvements needed for reliability, capacity, security, smart-grid and demand-response measures, as well as accommodating wind and green-energy quotas. Hard numbers support operating- and capital-cost claims for gen plants. It’s been a long time since many electric utilities have had to ask their rate commissions for the amounts of money they’re asking for today. States with deregulation programs either have frozen rates or reduced them over the last decade, in the hopes that competition would naturally lower prices to consumers. Now those programs are ending and their success is questionable. Utilities in more regulated states haven’t faced since the 1970s new build programs like the ones currently contemplated.